Intensive use of your trampoline can stretch the springs, especially if the recommended maximum weight is exceeded. As the springs are the main component of your trampoline, bounce quality is directly affected. 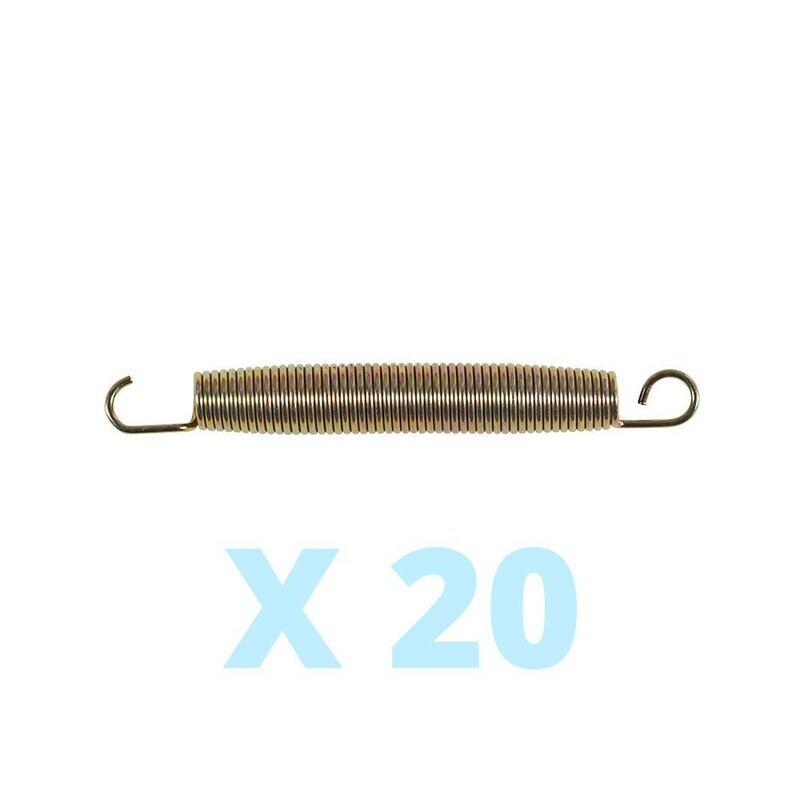 If your family sized trampoline uses springs of 210 mm in length, then France Trampoline can provide this 20 piece spring pack, which will give your trampoline its much needed flexibility and power back. - These springs are protected from corrosion using a full galvanization treatment. 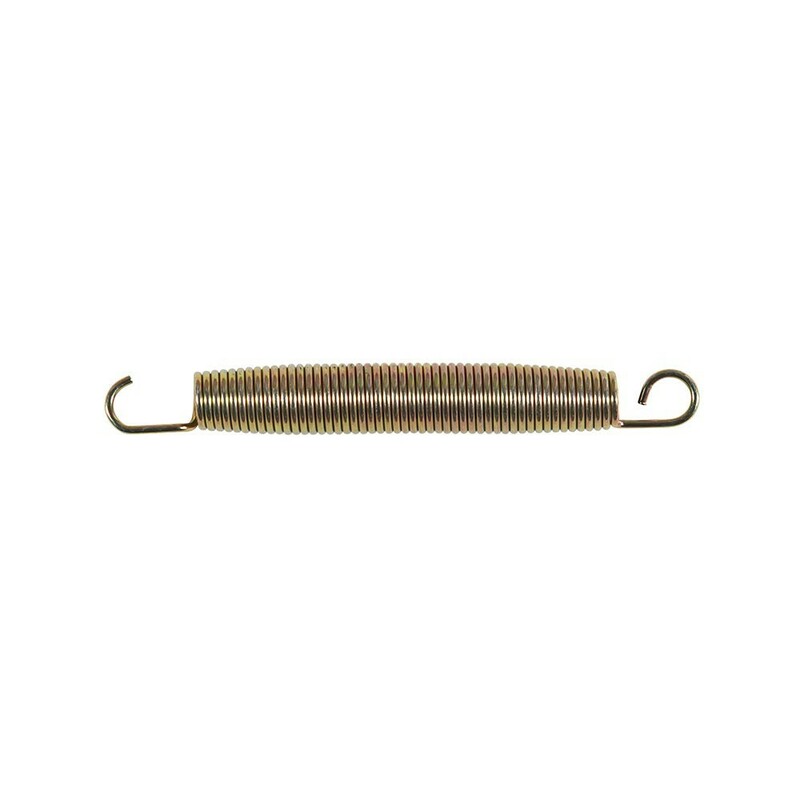 - These springs measure 210 mm including the hooks. Each spring is made using a galvanized steel wire of 3.3 mm in diameter for a coil diameter of 26 mm. - These springs have two types of hook. A small closed hook, which efficiently holds the spring onto the jumping mat and a more open hook, which allows you to quickly fix the spring to the steel framework of your trampoline. - To remove your old springs we would recommend using a hooked clamp to stretch out the spring and remove the hook easily by placing pressure on the coils. NB: These twenty springs can be used on the Booster 300 and Apollo Sport 400 trampoline ranges.